A friend of mine got me one of these things for my bow a few months ago. I was supposed to take a few pictures of it in use and send those pictures back to the company. Unfortunately, it was outside of bow season and we had already done our April class. This left me without any real opportunity to take pictures other than during one of my many “plinking” sessions….. Until this last weekend. Now, I only got 2 pictures of this bad boy during our class. The reality is that I love this thing so much after only truly “using it” once that I spent more time bragging than snapping pictures. Holy sheep shears, Batman. This guy is awesome. I will start off by giving you the link and an initial picture. What this thing does is not only protect the cam on your bow, but gives you the ability to use your bow as a cane/walking stick when needed. It also keeps dirt and grime out of your cam when you raise or lower your bow from a tree stand. I will admit that at first, I thought that this thing was a gimmick and was WAY overpriced. If I had not received one as a gift, I truly would have never paid for one. Many people that I show this to feel the same way, until I start to use my bow as a walking stick and for stability while climbing over/around things. Then they see how truly remarkable this product is. After having gotten to use one (and mind you that this was just during a WA Bowhunting Class) I will not have a hunting bow without one and am now hooked. As you can see, this is VERY rugged and can take a beating. My final testimonial regarding this product is in regards to its use while we were brushing through blackberry thickets looking for stray arrows. I used my bow quite extensively to push away blackberry vines and then would lean on my bow like it was a walking stick. The HEDOG protected my cam superbly and allowed me to literally push the vines to the ground without worry. It made my life much easier, although I got a few little scuffs on my lower limbs. I really love this thing and must say that it is worth the $70 or whatever it costs. 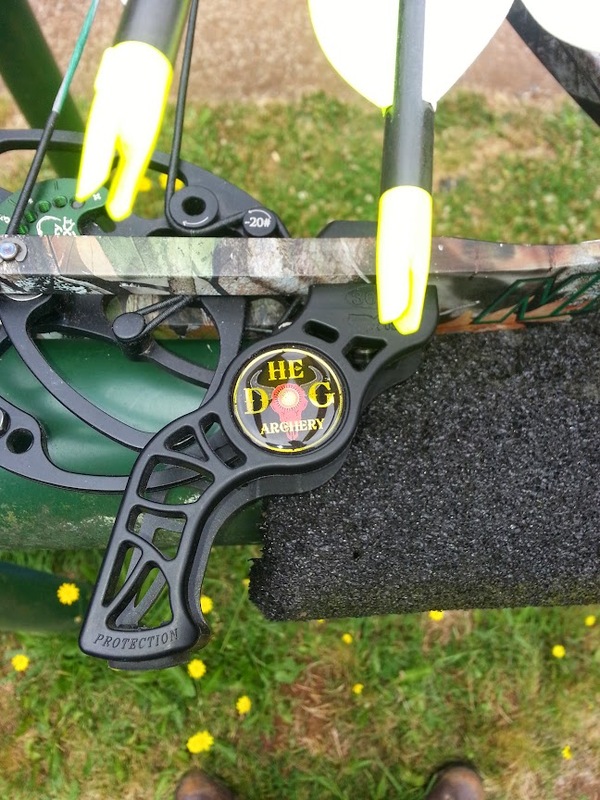 It’s highly recommended and I do not think I will have another hunting bow without one of these HEDOG cam protectors. 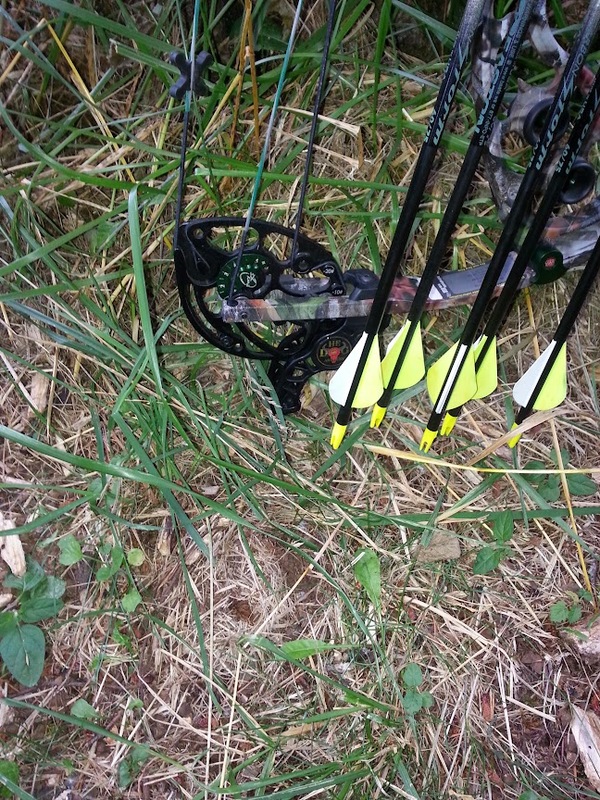 This entry was posted in Archery and tagged bow foot, bow limb foot, bow limb protector, bow stand, cam protector, cam protectors, HEDOG, limb protector on July 21, 2014 by Woodsbum.